This weekend I had the girls round for a dinner party. We hadn’t seen each other for a few weeks, and there’s no better way to catch up than over a nice long meal and a few glasses of wine. 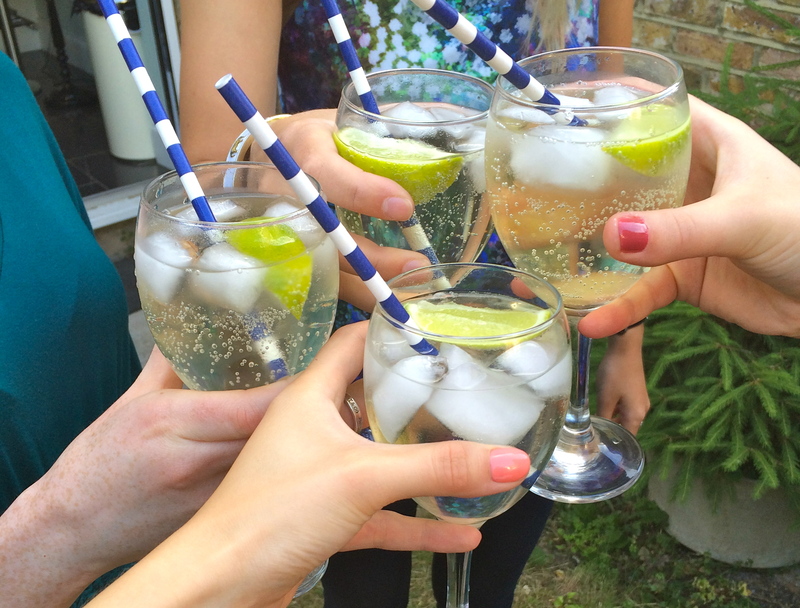 Josie had the wonderful idea of making Hugo’s – a cocktail which the rest of us uncultured lot had never heard of. 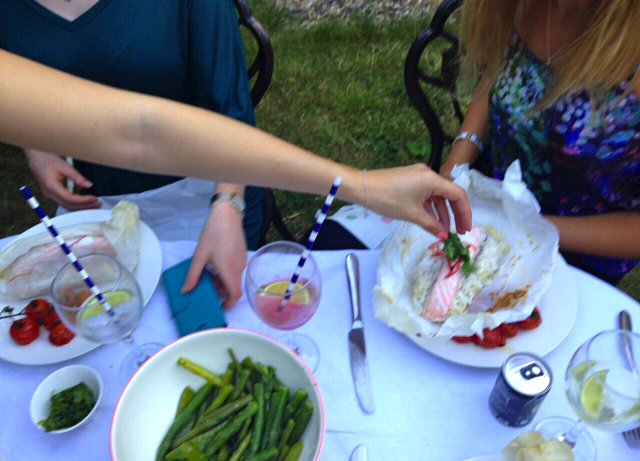 They consisted of a dash of elderflower cordial, topped up with a healthy amount of Prosecco and finished off with a some San Pellegrino and a wedge of lime- how very sophisticated! We all sat down and enjoyed our cocktails in the garden, making the most of the evening sun. I served up the buttermilk aubergines for starter, which went down a treat. All of the preparation can be done before everyone arrives. Start by cooking the brown rice. Boil for around 25 minutes until it’s cooked through but not mushy, and then drain. Cut up four large squares of baking parchment, and divide the rice between the four squares. 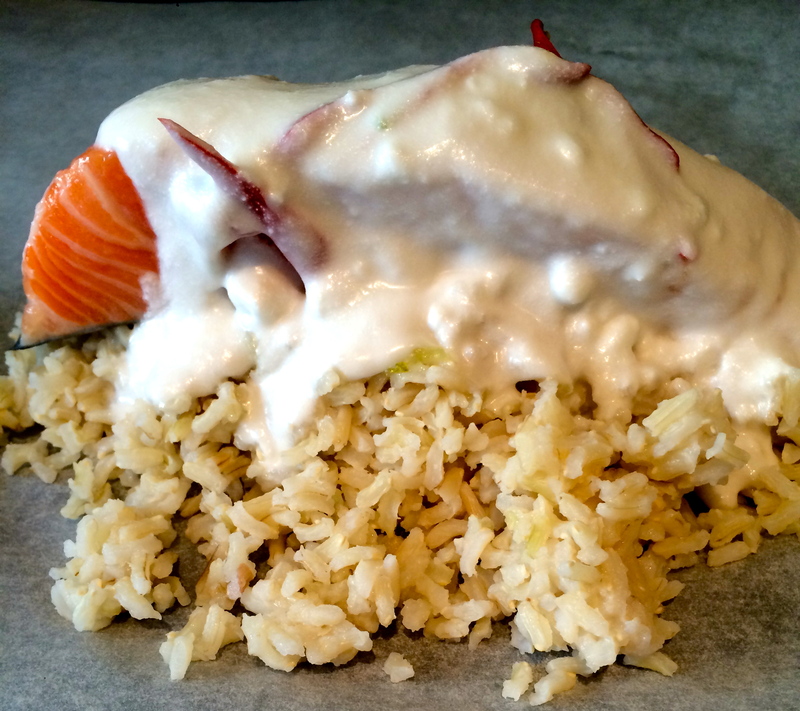 Lay a salmon fillet on each bed of rice and top with about 4-5 tbsp of coconut milk. Sprinkle over some shredded chilli and a squeeze of lime, before wrapping up each parcel nice and tightly, and placing onto a baking tray. 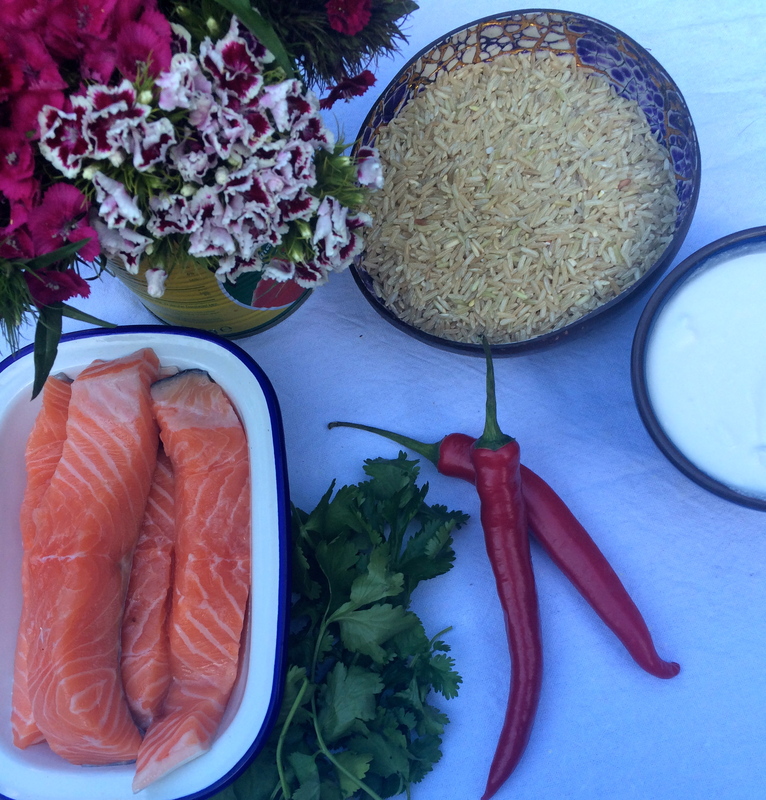 Once you are ready to eat them, pop them into a 200 degree oven for 12-15 minutes until the salmon is cooked through. I served mine with some green beans, asparagus, mangetout and roasted baby tomatoes, so I put these on to cook at the same time as the parcels. Pop the veg on to boil, and lay the tomatoes in a roasting tin with some olive oil and leave them on the shelf under the salmon. 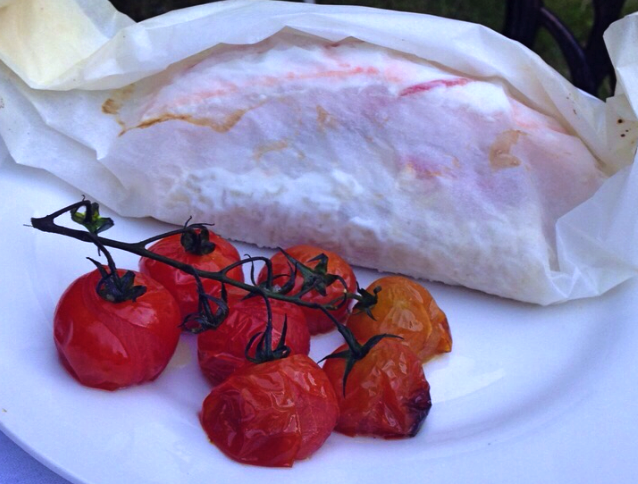 Once ready, put a parcel on each plate with a vine of tomatoes and serve. 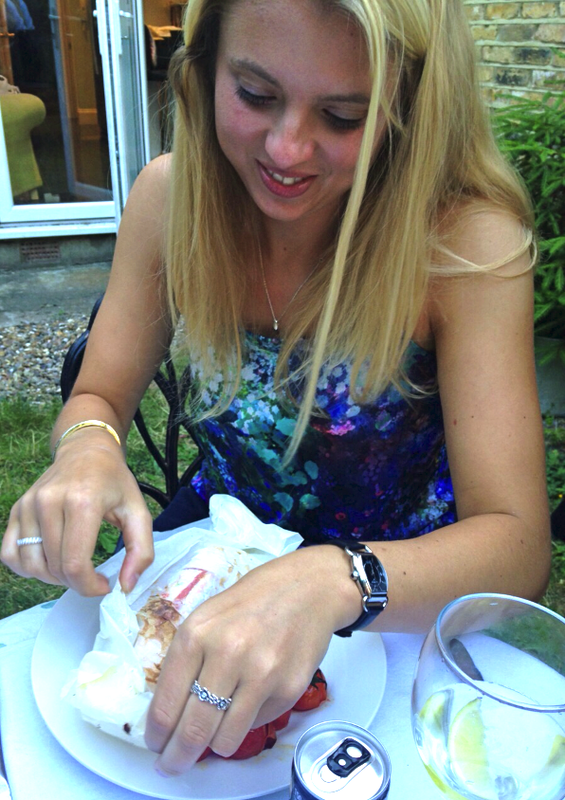 It’s quite a fun meal to eat, as each person can individually unwrap their own parcel and see what’s inside. Sprinkle over some corriander on each parcel before eating. It’s a really quick yet tasty meal to do, and could even work well as an evening meal for one. 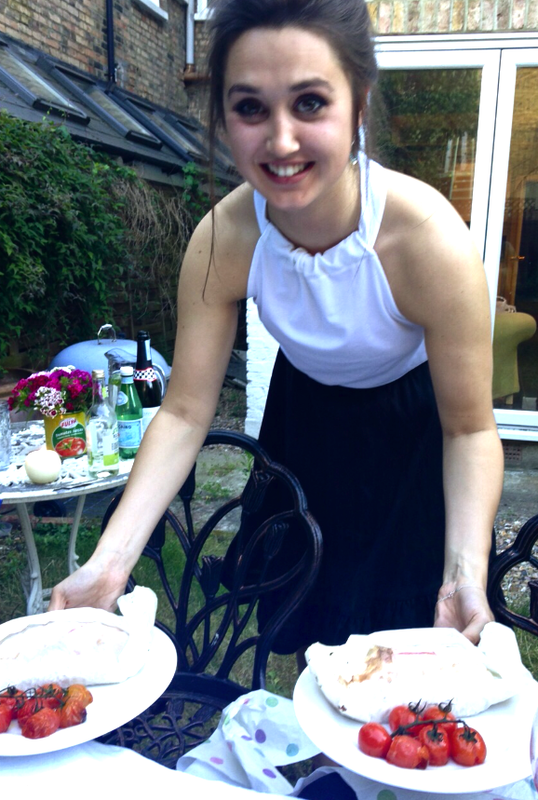 I finished off the meal with a lovely big pavlova, which we totally demolished! It was the perfect girly evening, and we stayed out late into the night wrapped in blankets, nattering away and drinking wine.